Roof Maintenance and Repair: Keep a sturdier, well-performing roof by investing in a comprehensive maintenance plan from NorthWest Construction. With our free roof inspection and repair services, we’ll head off possible threats to your system, ensuring that it can deliver the excellent weather protection and performance your home deserves. This helps further extend your roof’s life span, letting you save money from costly repairs, or even premature replacement. Because our crew is extremely thorough, we’ll also take a closer look at your attic insulation and ventilation. We’ll make sure that these essential components can maintain better airflow and thermal comfort. Roof Replacement: An old and failing roof, however, requires a complete replacement. This project ensures that your home remains dry and damage-free in any season. NorthWest Construction can help you with this service. 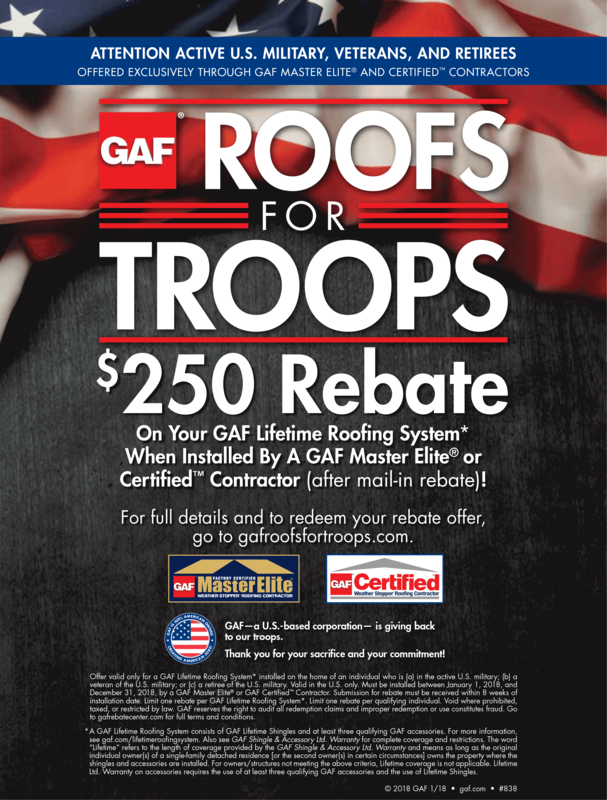 We are a GAF Master Elite certified roofing contractor in Bloomfield, MI, offering only the highest quality shingles from North America’s top roofing manufacturer. These shingles don’t just provide reliable weather resistance, they are also available in a variety of colors, textures, and thicknesses. Solid roofing warranties from GAF covering both product quality and installation helps add an extra layer of protection to you and your investment. Window and Door Replacement: You’ll need to make informed purchasing decisions when replacing your existing windows and doors. Fortunately, choosing great replacement doors and windows for your home can be stress-free. Just turn to NorthWest Construction. Our team will help you pick beautiful, energy-efficient units that best suit your budget and your home’s specific needs. Siding Installation and Replacement: Choose NorthWest Construction when you need a quality siding installation or replacement. We offer Mastic vinyl siding and James Hardie fiber cement siding for this service, ensuring that your home’s exterior can create a bigger impression from the curb with its supreme durability and vibrant color. James Hardie siding is proven to effectively resist the harshest Michigan weather. Because of its ColorPlus Technology, your exterior can retain a lovely color that lasts longer than a standard paint job. Gutter Installation: Your gutters’ draining performance has kept your home free from extensive water damage. That’s why, if it has already sustained extreme wear and tear, the better and more permanent solution is a replacement. Our aluminum gutters feature superior draining ability that keeps your structure and landscaping intact, allowing for a sturdier, damage-free home. Kitchen and Bathroom Remodeling: Your kitchen and bath are two of the most important rooms inside your home. For this reason, it’s essential that you keep them as lovely and comfortable as your other living spaces. NorthWest Construction specializes in kitchen and bathroom remodeling in Bloomfield, MI. Our professional team will work closely with you in creating the design that best fits your specific needs. This means an improved layout for smoother flow, upgraded color palette for that rustic or energetic vibe you’re aiming for, and advanced features for greater convenience. Patios, Porches, Chimneys, and Other Home Additions: NorthWest Construction is the company you can trust for beautiful patios, plus custom wood and masonry porches. These allow for comfortable living spaces that are perfect for entertaining guests and bonding with your family. 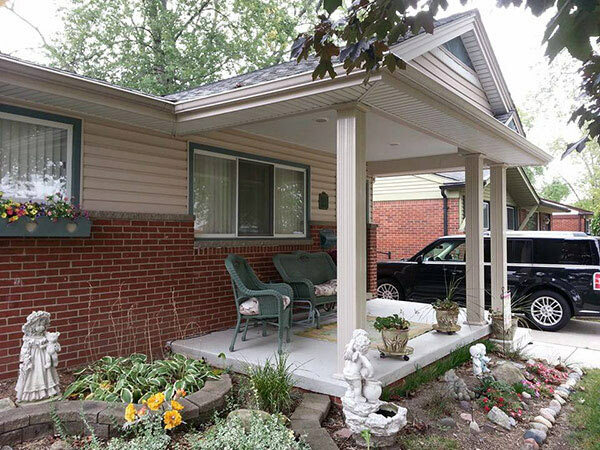 To add a more finished look to your home, you can also choose us for your chimney, railings, and porch awning needs. Experience The Best Home Improvement Services in Bloomfield today! When in need of quality home improvement work in Bloomfield, Bloomfield Township and West Bloomfield communities, choose a fully licensed and insured company like NorthWest Construction. We’ll help you pave the way to a lovelier, comfortable, and more energy-efficient home through our top products and services. We operate from Monday-Friday 8:00 am – 6:00 pm, and Saturday 8:00 am – 3:00 pm. We provide great financing options and rebates for our senior clients. Call us today at (313) 277-7676 or use our online contact form to start discussing your home improvement plans.